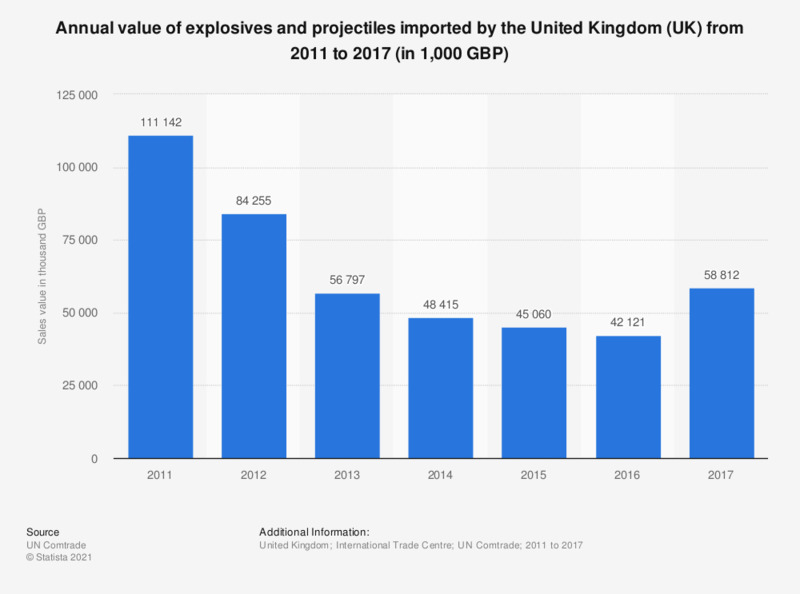 This statistic shows the value of bombs, grenades, torpedoes and other explosives/projectiles imported by the United Kingdom (UK) from 2011 to 2017, measured in thousand British pounds. The sales value of these goods has declined in every year until increasing again in the year 2017. These figures take into account various forms of explosives and projectiles including mines, grenades, torpedoes, and cartridges among others.